Armed only with a passion for music, Gary dipped a tentative toe into the world of DJing in 1997, exploring a plethora of styles including Pop, Indie, Hip Hop, Electro, House and Techno. It wasn’t until 2001 that his hand was turned to music production and it would take until 2005 before his music began to resonate amongst his peers in the scene. Brainchild of Gary and friends, ‘The Japanese Popstars’ were born in 2006, becoming Gary’s sole focus and musical outlet in the eight years that followed. A constant stream of music ensured an unprecedented rise to prominence for the group, with releases on highly respected labels including Virgin, EMI, Ministry of Sound, Strictly Rhythm, Gung-Ho and Bedrock Records. Gary was described by fellow members as the ‘heart beat’ and ‘creative force’ of the act. And given their success, that was high praise indeed. Three studio albums, a live album and catalogue of remixes (including reworks for Beyonce, Pete Tong, Daft Punk, Depeche Mode and Kylie Minogue) inspired further projects, ideas and collaborations with Robert Smith (The Cure), Morgan Kibby (M83), Tom Smith (Editors) and Green Velvet, among others. During this time, The Japanese Popstars had established and were delivering a blistering live show on the global stage, taking in many of the world’s best clubs and festivals including Fuji Rock (Japan), Glastonbury (England), Stereosonic (Australia), Transmusicales (France), Ultra (USA), IMS (Ibiza, Spain), Fabric (London), Space (Ibiza), Government (Toronto), Mansion (Miami) and Pacha (NYC). 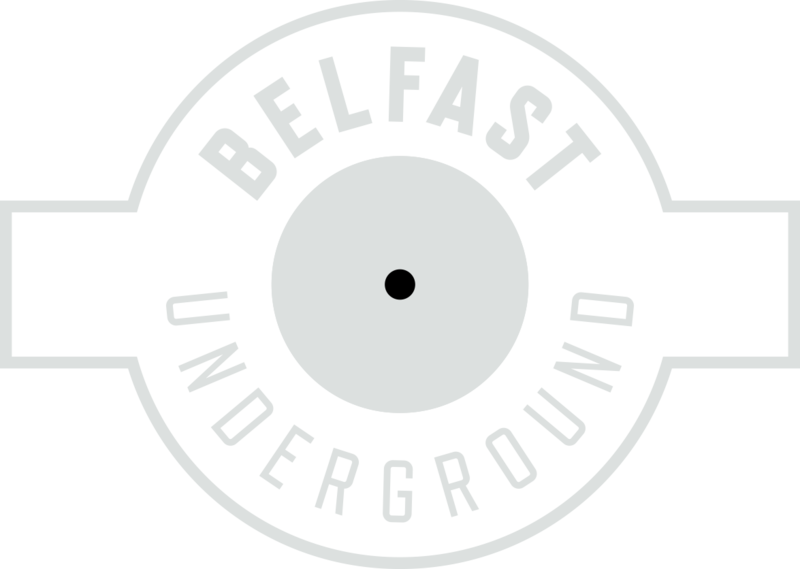 An inevitable recognition for their ability to devastate the dancefloor soon followed, with accolades including a nomination for ‘Best House DJs’ at the 2006 World Urban Music Awards, ‘Best Live Performance’ at the 2007 Northern Ireland Music Awards and four consecutive awards as ‘Best Live Act’ at the 2008 Irish Music Awards. 2008 also saw them collect the coveted ‘Best Breakthrough Producer’ award at the DJ Mag Best of British Awards, shortly followed by ‘Best Album’ and ‘Best Live Act’ laurels in 2009. Changing lanes in 2014, Gary’s solo project ‘Confute’ burst on to the scene, garnering instant support from the likes of John Digweed, Maceo Plex, Carlo Lio, James Zabiela, Psycatron, Proxy and Stephan Bodzin. His thunderous remix of Proxy’s ‘Iron’ (released on Turbo, August 2014) was the opening salvo for the multi-faceted Confute adventure that was to follow. An original EP entitled ìOn The Hour saw the light of day in October 2014 on GEM Records, imprint of techno legend Secret Cinema. Within it’s first week of release, Maceo Plex had included the title track at Boiler Room in Berlin and was later announced as ‘Track of the Week’ on Chicago’s 101.1 Electric Playground. Confute’s next EP, entitled Follow Up, amassed support from the likes of Danny Tenaglia, Solomun and Stacey Pullen and hit the stores on via Compatible Music. A slew of projects and the launch of his own imprint, Four One Records succeeded the release, not least a brutally effective EP dubbed “Everybody Reach” on the highly respected GND Records. Other penned works included a remix of The Japanese Popstars Sample Whore and “2002”, a track co-produced with R.E.C. Both found their way onto John Digweed’s “Underground Sound of Ibiza” (Bedrock Records). He’d be forgiven for drawing stumps at this point with a supporters list reading like a ‘who’s who’ in underground dance music. With such a varied discography, it’s plain to see that the sound of Confute is eclectically diverse, drawing as he does from a myriad of influences which cannot readily be pinned down. His way of creating atmosphere within music is almost alien, certainly unique, yet irrevocably powerful. Gary’s mindfully crafted twist on techno and tech-house creates a mesmerizing and stunningly poised balance between the epic and the deep. Teeth-rattling subs and shimmering synths ensure his work is instantly recognizable, evoking an undeniable sense of precision and quality from a truly seasoned artist. Never one to sit still, Gary’s desire to evolve and express musical instincts in fresh and innovative ways ensures that each musical helix is as imaginative and effective as the last.